« Grain Bin Fatalities: Is Enough Being Done to Prevent Them? During the summer months of June, July, and August, OSHA is expected to be inspecting residential construction sites throughout Texas primarily for compliance with the fall protection standards. OSHA has been conducting an emphasis program on fall protection as falls are the leading cause of death in the construction industry. Texas is one of the states that has the highest incidence of these types of accidents. When OSHA visits sites to inspect fall prevention compliance, they will be checking for compliance to all the federal standards. Now is the time to start preparing for the inspections. There are many resources available with information on fall prevention. The OSHA website contains a great deal of information as part of their campaign Preventing Falls in Construction . Along with guidelines on how to plan, provide, and train – the three steps to preventing falls – there are publications available including posters, fact sheets, and wallet cards to distribute to workers to help train them in how to prevent falls. Another useful resource is a booklet published by the Texas Department of Insurance Division of Workers’ Compensation entitled Fall Protection for the Construction Industry. The booklet is available online at http://www.tdi.texas.gov/pubs/videoresource/wpfallprocost.pdf . Another important focus of OSHA’s has been their Heat Illness Prevention Campaign. Heat illness is another great risk or construction workers during the summer months in Texas. To be sure of compliance in this area, there are many information and training resources available to construction employers and workers at. There is even a smartphone app on heat illness prevention available for download on this website. Heat illness is avoidable if a few simple steps are taken. 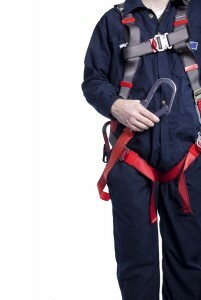 As well as many other online resources on the OSHA website, employers might want to consider partaking in Online OSHA 311 Fall Protection/Fall Arrest Systems Course or having a mock inspection done ahead of time to help identify possible areas that need improvement to comply with federal standards. Certified safety specialists can help employers in making sure they are prepared for a successful OSHA inspection. Training for employees by OSHA authorized outreach training specialists can also improve safety at your residential construction site. By using the tools available through OSHA and other sources, and hiring certified safety specialists to help identify and correct problems will help to assure that your worksite is in compliance and can successfully pass an official OSHA inspection this summer.